Obesity surgeon from India explains how the type of weight loss surgery is chosen. In the above shown weight loss video, the bariatric expert explains how BMI and obesity are interrelated. He also talks about the factors involved in deciding the type of bariatric surgery for an individual. The surgeon performs all kinds of bariatric surgeries – gastric bypass, lap band and gastric sleeve surgery. Below is the video narration. “The various procedures which can help them depending upon the BMI or so. The gastric banding procedure is one, sleeve gastrectomy is one, gastric bypass is other. So, these procedures besides decreasing the weight are helping in controlling their diabetes also. 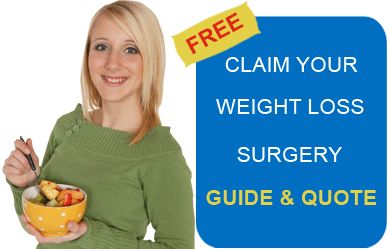 Weight loss surgeries – we are opting mainly for the sleeve gastrectomies and the bypass surgeries. How is it decided if patient will need sleeve gastrectomy or gastric bypass: Depending upon their BMI, depending upon their taste – whether they are sweet eater or not and whether they have associated morbidities and whether they have co-morbidities along with. Based on these we decide. Mainly dominating remains the Body Mass Index rate. According to the surgeon, out of the three bariatric surgeries – gastric banding, sleeve gastrectomy and gastric bypass, selecting the best suitable surgery depends on an individual’s BMI, associated morbidities, and eating habits. Many people visit India these days with the mission of losing weight and simultaneously saving a lot on the cost. In fact, there are plenty of weight loss success stories to India’s name now. Also the obesity surgery centres in India are known worldwide for their technology and expertise. The surgeon welcomes people from all over the world for weight loss surgery in India and assures quality and care. To know more about the cost of the lap band, gastric bypass or sleeve gastrectomy, submit the free quote form on the right.